As someone that carries concealed on a regular basis this past summer was challenging. Currently my carry sidearm is a Smith & Wesson M&P9 full sized 9mm. 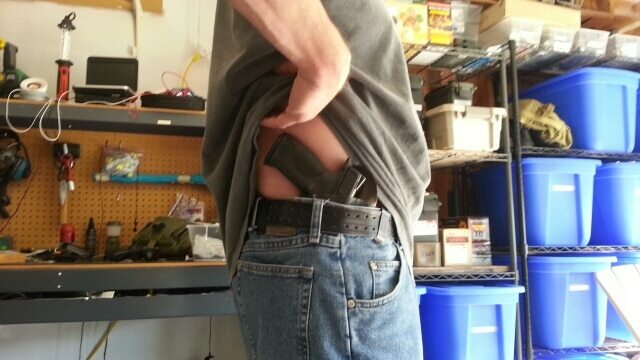 My regular Fobus holster does not do well to help conceal the M&P when dressed in shorts and a t-shift. 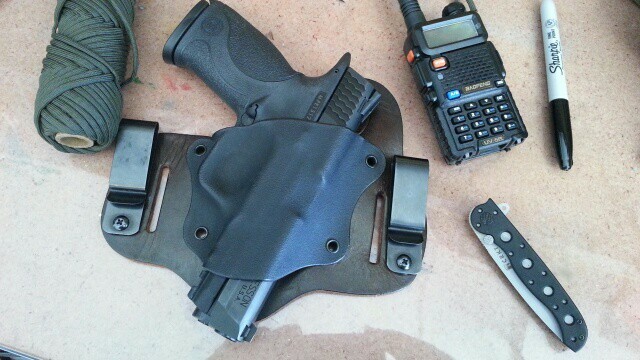 I recently received an Aegis “Shield” Hybrid holster supplied by Aegis Armory. I buddy of mine – lets call him “Rick” had told me about the Aegis Hybrid and spoke very highly of it. 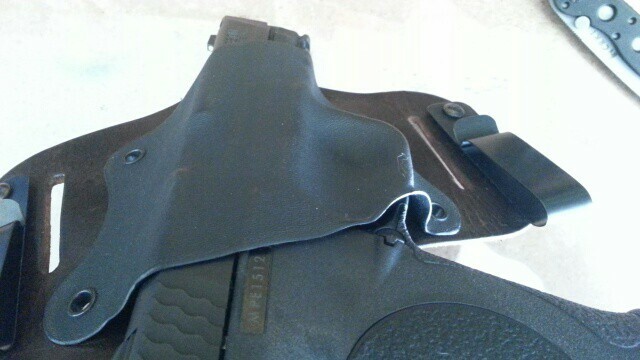 Upon receiving the holster I was very impressed with the fit and finish. I also discovered something I had forgotten about: I love the smell of leather. My Hybrid is composed of a combination of leather and Kydex. What is pretty cool about the Aegis Hybrid is that it can be worn either inside the pants – or outside. Being that I am going for maximum concealability I have opted for carrying inside the pants. That leather backing really feels good against the skin compared to cold, hard plastic. 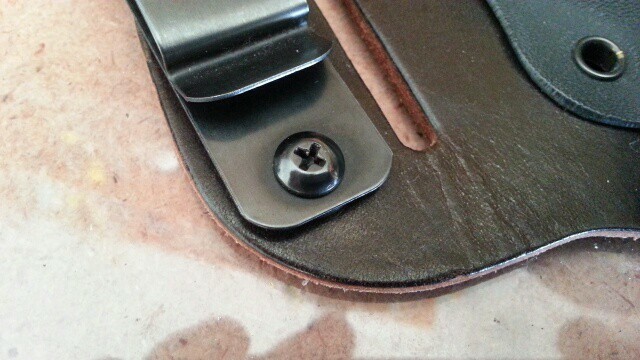 I have tried securing the holster via a combination of the metal clips and belt slots – and also with just the metal clips. My preference: Just the metal clips. Why? Just quicker and felt extremely secure. Over the past several weeks I have carried the M&P quite a lot. During working hours the holster and pistol laid secured in my Jeep. After work and all day on the weekends it has rested on my hip – with comfort. Walking around, sitting, going to the movies, grocery shopping, visiting neighbors, and driving – most of the time I forgot it was even there. Remember – this is a full size pistol. I would imagine with a compact it would be even better. Did I have any problems? Just one: One of the metal clips loosened up a bit. A few turns of a phillips head screwdriver and it was returned back to original. I see this as a pretty minor issue so easily rectified. 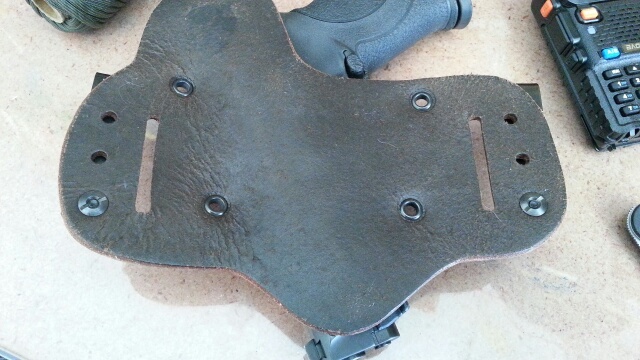 I have been talking about the the holster and how well it rides in a very secure state. Now about the pistols fit and securement. The Kydex conforms to the M&P extremely well. The M&P enters the holster and “snaps” into place securely. To draw the pistol a purposeful tug is required – but nothing excessive. I would have no problem running with this holster – my gun is not going to fall out. I am very impressed with the Aegis Hybrid holster and would recommend it for all looking for a comfortable….and affordable concealment holster. To get more information visit http://aegisarmory.us/. I have a similar Alien Gear Holster for my Ruger SR40…it’s not an either OWB or IWB though(kinda like that idea though), just IWB but it’s become my go-to holster. It’s got a real thick what they call “no sweat” leather…and for an extra 5.00 I got it in black….the std price is only like 29.00 bucks! This looks similiar to what a fellow is selling at the gun range for $35. Glad it is available at a better price thru Aegis. Will let everyone know! this is the third or fourth prepper website I’ve been to in the last few days that is making the Aegis holster seem like a “new” thing. I have had a two crossbreed holsters for at least 4 years and they are virtually identical to the Aegis. If Aegis is “new” then they are just a knockoff of the Crossbreed. I can’t speak to the Aegis, but the Crossbreed is comfortable, safe and secure. I wear one everyday. The holster design may not be new – but it is unique in its design to me as its ability to go inside or outside the pants.